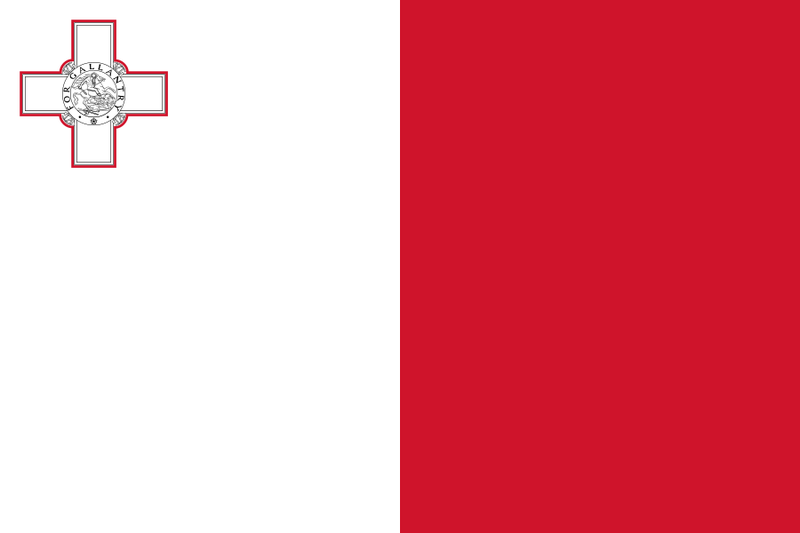 The Crown Colony of Malta became independent under the Malta Independence Act 1964 passed by the British Parliament. Under the new Constitution of Malta, approved in a referendum held May of that year, Queen Elizabeth II became Queen of Malta (Maltese: Reġina ta' Malta). Her constitutional roles were delegated to the Governor-General of Malta. Between 1964 and 1974, Elizabeth II visited Malta once in November 1967. "Orders of the Day — Malta Independence Bill: 23 Jul 1964: House of Commons debates". TheyWorkForYou. 1964-07-23. Retrieved 2017-01-26. "Malta Independence: 22 Jul 1964: House of Commons debates". TheyWorkForYou. 1964-07-22. Retrieved 2017-01-26. "Malta Independence Act 1964". Legislation.gov.uk. Retrieved 2017-01-26. "MALTA INDEPENDENCE BILL (Hansard, 28 July 1964)". Hansard.millbanksystems.com. Retrieved 2017-01-26. "MALTA REPUBLIC BILL [LORDS] (Hansard, 5 May 1975)". Hansard.millbanksystems.com. Retrieved 2017-01-26. "MALTA REPUBLIC BILL [H.L.] (Hansard, 20 March 1975)". Hansard.millbanksystems.com. Retrieved 2017-01-26. "Malta Republic Act 1975". Legislation.gov.uk. 1974-12-13. Retrieved 2017-01-26. "Malta: Polity Style: 1964-2017". Archontology.org. Retrieved 2017-01-26. "Malta: Heads of State: 1964-1974". Archontology.org. Retrieved 2017-01-26. "Malta: Governors-General: 1964-1974". Archontology.org. Retrieved 2017-01-26. Ben Cahoon. "Malta". Worldstatesmen.org. Retrieved 2017-01-26. "STATE OF MALTA 01". Steno.webs.com. Retrieved 2017-01-26. A referendum on integration with the United Kingdom was held in Malta on 11 and 12 February 1956. The proposals were approved by 77% of those who voted, on a turnout of 59.1%. They were never fully implemented, and the country became an independent Dominion titled the State of Malta eight years later. Sir Anthony Joseph Mamo, (9 January 1909 – 1 May 2008) was the first President of Malta and previously served as the last Governor-General of the State of Malta before the country became a republic. He was also the first Maltese citizen to be appointed Governor-General, and before independence, briefly served as acting Governor. The Governor-General of Malta (Maltese: Gvernatur-Ġenerali ta' Malta) was the official representative of Her Majesty Elizabeth II, Queen of Malta, in the State of Malta from 1964 to 1974. This office replaced that of the Governor, and it was replaced by that of President upon the proclamation of the Republic of Malta. Following the 1565 siege, the Order decided to settle permanently in Malta and began to construct a new capital city, Valletta. For the next two centuries, Malta went through a Golden Age, characterized by a flourishing of the arts, architecture, and an overall improvement in Maltese society. In the mid-17th century, the Order was the de jure proprietor over some islands in the Caribbean, making it the smallest state to colonize the Americas.. The Order began to decline in the 1770s, and was severely weakened by the French Revolution in 1792. In 1798, French forces under Napoleon invaded Malta and expelled the Order, resulting in the French occupation of Malta. The Maltese eventually rebelled against the French, and the islands became a British protectorate in 1800. Malta was to be returned to the Order by the Treaty of Amiens in 1802, but the British remained in control and the islands formally became a British colony by the Treaty of Paris in 1814. Japan–Malta relations refers to bilateral foreign relations between Japan and Malta. Their diplomatic relations were established in 1965. Malta has a consulate in Tokyo. Japan has an Embassy to Malta, which is part of the Embassy of Japan in Rome, Italy, and a consulate in Valletta, Malta. The Governor of Malta (Maltese: Gvernatur ta' Malta) was an official who ruled Malta during the British colonial period between 1813 and 1964. This office replaced that of the Civil Commissioner. Upon the end of British rule and the creation of the State of Malta in 1964, this office was replaced by the Governor-General, who represented the British Monarch and not the Government of the United Kingdom as did the Governor. The office of Governor-General was itself abolished in 1974 and replaced by the post of President when Malta became a Republic. This is a list of Ambassadors of the United States to Malta. Initially a part of the British Empire, Malta was granted full independence as the State of Malta on September 21, 1964. The United States recognized the new nation and established full diplomatic relations after its independence, and retained relations after Malta became a republic in 1974. Harrison Lewis was appointed as the first American diplomat in Malta as Chargé d'Affaires ad interim until an ambassador could be commissioned. This is a list of the heads of state of Malta, from independence as the State of Malta in 1964 to present. From 1964 to 1974, Malta was a Commonwealth realm and its head of state under the Constitution of Malta was the Queen of Malta, Elizabeth II – who was also simultaneously the Queen of the United Kingdom and the other Commonwealth realms. The Queen was represented in Malta by a Governor-General. Malta became a republic within the Commonwealth after constitutional amendments in 1974, and the position of Monarch and Governor-General were replaced by a President of Malta who is indirectly elected. The Malta Independence Fiftieth Anniversary Medal is a national commemorative medal of the Republic of Malta. The medal is awarded by the President of Malta to recognize contributions to the development and well-being of Malta as a nation and a member of the international community of nations since the State of Malta gained independence in 1964. The medal, which may be awarded posthumously, has been awarded to former Presidents, Prime Ministers, and other notable Maltese politicians. The Megalithic Temples of Malta (Maltese: It-Tempji Megalitiċi ta' Malta) are several prehistoric temples, some of which are UNESCO World Heritage Sites, built during three distinct periods approximately between 3600 BC and 700 BC on the island country of Malta. They had been claimed as the oldest free-standing structures on Earth until the discovery of Göbekli Tepe. Archaeologists believe that these megalithic complexes are the result of local innovations in a process of cultural evolution. This led to the building of several temples of the Ġgantija phase (3600–3000 BC), culminating in the large Tarxien temple complex, which remained in use until 2500 BC. After this date, the temple-building culture disappeared.The Ġgantija temples (two sites) were listed as a UNESCO World Heritage Site in 1980. In 1992, the UNESCO Committee further extended the existing listing to include five other megalithic temple sites. These are Ħaġar Qim (in Qrendi), Mnajdra (in Qrendi), Ta' Ħaġrat Temples (in Mġarr), Skorba Temples (in Żebbiegħ) and Tarxien Temples (in Tarxien). Nowadays, the sites are managed by Heritage Malta, while ownership of the surrounding lands varies from site to site. Apart from these, there are other megalithic temples in Malta which are not included in the UNESCO World Heritage list. The President of Malta (Maltese: President ta' Malta) is the constitutional head of state of Malta. The President is appointed by a resolution of the House of Representatives of Malta for a five-year term, taking an oath to "preserve, protect and defend" the Constitution. The President of Malta also resides directly or indirectly in all three branches of the state. They are part of Parliament and responsible for the appointment of the judiciary. Executive authority is nominally vested in the President, but is in practice exercised by the Prime Minister. From 1964 to 1974, Elizabeth II was Queen of Malta (Maltese: Reġina ta' Malta). The State of Malta was an independent sovereign state and the Queen was also monarch of the other Commonwealth realms, including the United Kingdom. The Queen's constitutional roles in Malta were mostly delegated to a Governor-General. Malta became a republic within the Commonwealth in 1974, and the Queen was replaced as head of state by the President of Malta. Republic Day (Maltese: Jum ir-Repubblika') is a public holiday celebrated in Malta celebrated on 13 December. It celebrates the anniversary of the creation of the Republic of Malta. On 13 December 1974, the constitution of Malta revised, which resulted in the transforming the State of Malta into a republic, effectively abolishing the role of Reġina ta' Malta (Queen of Malta) in the country. That same year, Sir Anthony Mamo as named as the first president of the country. British troops did not leave the country until 31 March 1979. The holiday coincides with the Feast Day of Saint Lucia, the patron saint of Malta.